Violet Parks donated a small collection of material owned by her husband Raymond Parks to the Stock Car Racing Collection following his death in 2010. The item may be viewed upon request in the Special Collections Department on the fourth floor of Belk Library & Information Commons. Follow the tabs at the top of this page to see what is in the collection. Ask for the items you want to see by collection name (Raymond Parks Collection), box number, and shelf number (B4). June 5, 1914. Born in Dawsonville, Georgia. November 1938. Lloyd Seay drove Parks' 1934 Ford at Lakewood and won. It was Seay's first race. 1939. Parks bought two new standard Ford coupes. Red Vogt prepared the cars for Roy Hall and Lloyd Seay to drive in the Daytona February race. Hall and Seay drove for Parks until racing was stopped for World War II. December 1942-November 1945. Parks served in the army with the 99th Infantry. He fought in the Battle of the Bulge. 1945-1950. Red Byron and Bob Flock raced in Parks' cars. December 1947. 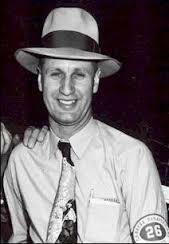 Parks attended the meeting at the Streamline Hotel in Daytona Beach that led to the formation of NASCAR. 1947. Fonty Flock drove for Parks and won the Modified Championship. He drove a 1939 Ford Standard Coupe. 1948. Red Byron won the first NASCAR Championship driver Parks' 1939 Ford Standard Coupe. 1949. Red Byron won the first NASCAR Strictly Stock Championship driving Parks' 88 Oldsmobile. September 2,1995. 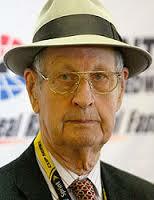 Parks was inducted into the National Motorsports Press Association Hall of Fame at Darlington. 1996. Parks was inducted into the Jacksonville Raceways Hall of Fame. February 14, 2000. Parks was inducted into the Rotary Club of Oceanside (Daytona Beach) Stock Car Racing Hall of Fame at Daytona. May 10, 2002. Parks was inducted into the Georgia Racing Hall of Fame in Dawsonville, Georgia. 2004. Parks was inducted into the Northeast Georgia History Center Sports Hall of Fame. 2009. Parks was inducted into the International Motorsports Hall of Fame, Talladega, Alabama. June 20, 2014. Parks died at his home in Atlanta.